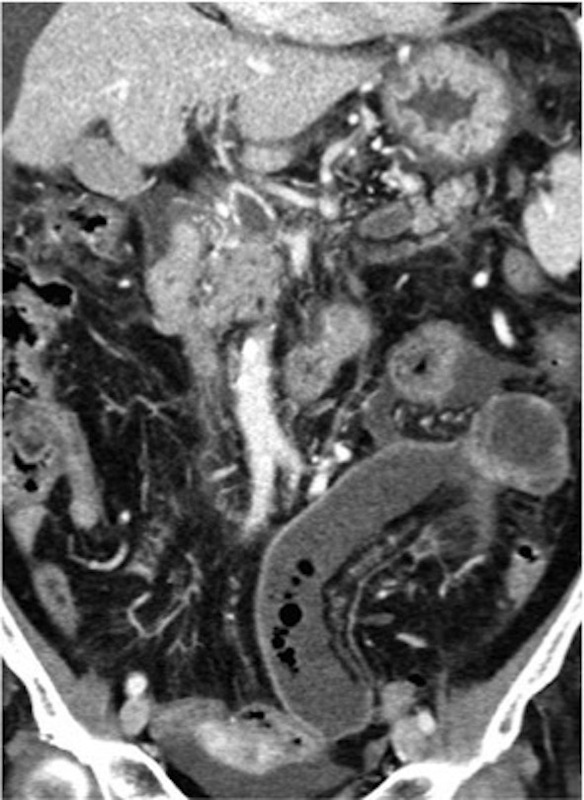 A 74-year-old man presented after experiencing abdominal pain for 10 hours. He did not report any surgical interventions in the past, but reported constipation. Clinical examination revealed severe abdominal tenderness. Due to the high suspicion of bowel occlusion, contrast-enhanced abdominal MDCT was performed.